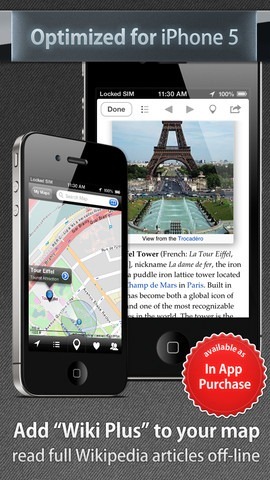 City Maps 2Go For iOS Is The Perfect Companion App For Travelling With Offline Maps Mode, Free For Limited Time! City Maps 2Go, a self-explanatory app that lets you download and view maps even when offline, has gone free for this weekend only, so if you’re looking for an all-weathers mapping app to aid you even when you’ve no network coverage, this is certainly it. Often when travelling to uncharted territories, we find ourselves in the middle of nowhere. 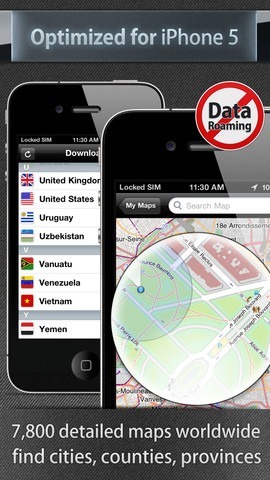 Indeed, in some rural locations, cellular coverage and Wi-Fi hotspots tend to be at a premium, and while many of the main stream maps apps offer powerful navigation features, the ability to save maps offline is not as common as many of us would like. 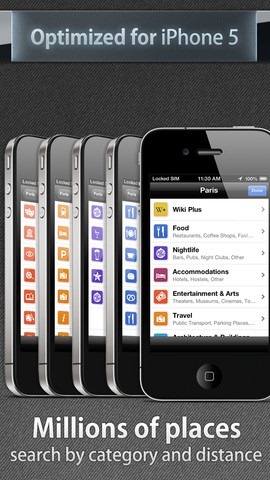 The format of City Maps is quite different to your archetypal navigation or mapping app. The interface is simple: you type in the name of a location – be it a city, county, town – and you can instantly download a detailed map spanning that entire area. 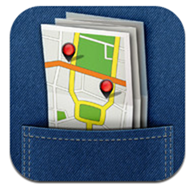 Of course, using the app requires a little bit of initiative – you need to know whereabouts you’re headed and download the map in advance – but once it’s saved to your device, you needn’t worry about getting lost out in the sticks. As well as a straight map, you can also locate POIs, collect favorite places, add notes and check out ratings of restaurants and such. With 7,800 maps available worldwide, it covers everywhere (even Greenland! ), so it’s certainly worth grabbing now while free of charge. It usually costs $1.99 / £1.49, so this is a great opportunity to save a few cents / pennies for other apps. Although City Maps 2Go would largely be used in conjunction with something like Apple Maps rather than instead of, the frailties of the Cupertino’s offering make this an even better time for makes Ulmon to run this special promotion. It’s not spoon-feeder with turn by turn navigation, but at a time when people are forgetting how to look at a map and use common to find their way around, City Maps 2Go is a breath of fresh air.